Stop me if you've heard this one: a pair of straight-A high school students realize they've wasted their school years with too much studying, not enough partying, and so with graduation coming up they decide to cut loose for one wild night. It's been done, but what sets Olivia Wilde's directorial debut Booksmart apart from the rest is the chemistry between stars Kaitlyn Dever and Beanie Feldstein. Flipping the script on the usual gender dynamic instantly makes Booksmart different than something such as Superbad, which the film has been compared to ever since debuting at SXSW. Dever, best known for her work in Short Term 12 and Justified, along with Neighbors 2 and Lady Bird co-star Feldstein, are rising stars in the rare opportunity as headliners. The characters they play are more than best friends, and exploring how women react to the pressures of society and academia is a welcome change from the typical male nerd trying to get laid before graduation. 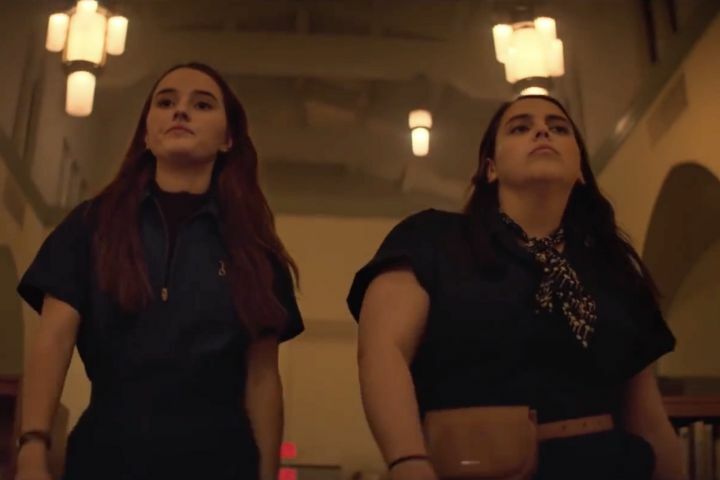 Booksmart has an uphill climb opening on May 24th when it will face Disney's live-action Aladdin, but I'm guessing the strong reviews could carry it to cult status.